Health Minister Kelvin Goertzen faced a barrage of questions Thursday from the Opposition NDP about his appearance and speech at an anti-abortion rally. Goertzen attended the Life Hike Rally in Steinbach on May 26 and spoke about his family's experience with miscarriage. "Any Manitoban can have their own view, but for someone who is the minister of health to take a microphone at a pro-life event is clearly going to be seen by many in Manitoba as not interested in advancing women's rights, and if anything, it's a place where there's going to be moves to roll them back," said NDP MLA Andrew Swan. Goertzen shared the stage at the event with members of We Need a Law, a group campaigning for a law to end abortion after the first trimester, and MP Ted Falk, who has recently spoken against abortion. 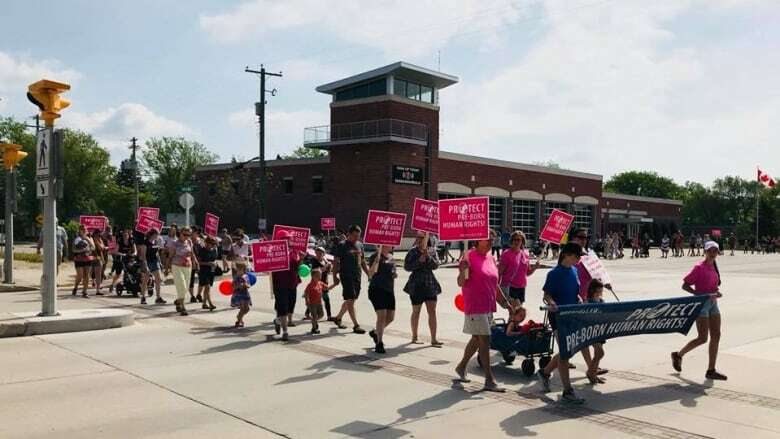 Goertzen said his involvement doesn't interfere with women's rights, abortion laws are governed federally, and the event helps him and his wife cope with past miscarriages. "We were invited to the hike as a way to remember the five children we lost and to help us in that healing process," he said, adding it's been an annual tradition since 2007. "Our son had just been born, and we were struggling with what we felt was the loss of five children," said Goertzen. "It's a personal mission for us to speak more publicly about it." Swan also criticized Goertzen's constant deferral of questions related to women's reproductive matters, including abortion and Mifegymiso, otherwise known as the abortion pill, to Rochelle Squires, minister of the status of women. "We've got a strange situation with the minister of health who either cannot or will not stand up and answer a single question in this House about women's reproductive health," Swan said. Goertzen said the decision to have Squires handle those files was made by Premier Brian Pallister. "I imagine as a minister responsible for the status of women, there's some intuitive sense to it," he said. But Swan countered that Squires has to send questions back to the health minister when they pertain to money, and he does not answer them. In a statement, a representative for Women's Health Clinic in Winnipeg wrote that abortion has been legal in Canada for more than 30 years. "It is concerning that our health minister would support an event and share the stage with groups actively trying to take away this health-care service from Manitobans. We hope that the minister of health would also value women's rights over their own bodies," wrote Amy Tuckett-McGimpsey. Karine Levasseur, an associate professor of political studies at the University of Manitoba, said cabinet ministers' private actions are indications of their values. "The optics certainly don't look great," Levasseur said. Public policy is determined by cabinet, she said, and it's important to watch what ministers say and do and where they go, because of the values they can take into cabinet meetings. "It's concerning because the Department of Health has the largest budget, covering a variety of health-related areas, including reproductive issues," Levasseur said. "The health portfolio can shape access to abortions in different ways — for or against. It can do the same with the abortion pill, and certainly can have an impact on access, if it's harder for women in rural areas to access an abortion or another type of reproductive medical procedure versus living in a large city like Winnipeg." Levasseur said the challenge for the public is to distinguish between Kelvin Goertzen in his personal life versus him as the minister of health. "Attending a rally that may be perceived as being pro-life may send the message to the Manitoba public that the health minister favours, personally supports, the pro-life movement," she said. "Issues of abortion are highly personal, they're very sensitive, and they're divisive, so becoming involved on either side is politically challenging." Goertzen said he can't speak for anyone else's emotions on the matter; only about what's important to him and his family. "It's been a difficult journey for my wife and I. We've gone to the hike for a number of years as a personal act of healing and remembrance for us," he said. "I'll continue to go because it's important for my family." Swan said that will continue to send a message to Manitobans and anti-abortion advocates, regardless of the topic of his speech. "I don't know why his wife didn't tell that story." Erin Brohman is a former pediatric nurse at the Stollery Children Hospital in Edmonton and the IWK Health Centre in Halifax. After graduating from King's College with a journalism degree, she took off to Yellowknife to work for CBC North for nearly two years, then settled in Winnipeg. 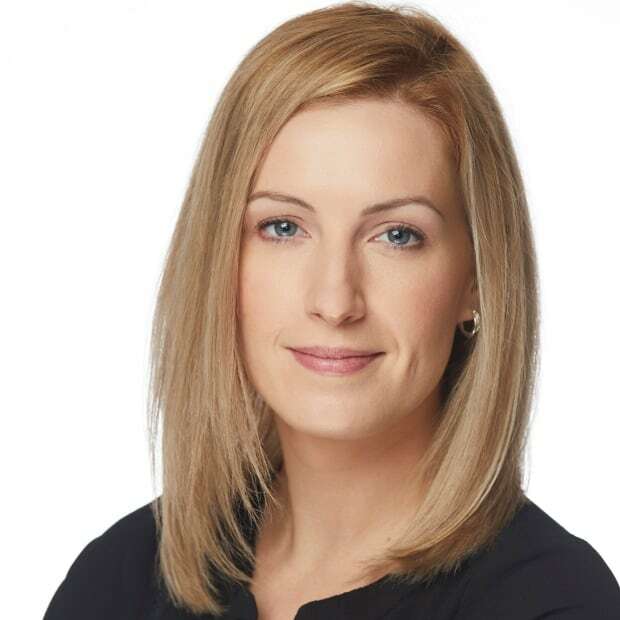 At CBC Manitoba she blends her interests in health care and sharing people's stories. Story tip? Email erin.brohman@cbc.ca.